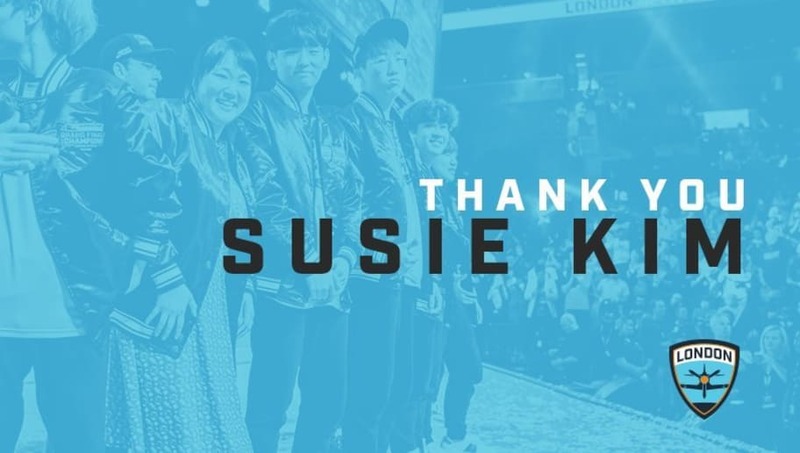 The London Spitfire announced it will replace general manager Susie "LilSusie" Kim with Seunghwan "Robin" Lee, as she is moved to a different role in Cloud9. The Overwatch League team revealed it will part ways with LilSusie as she will take a different role in Cloud9. Robin will take her place as the general manager for the London Spitfire in the Overwatch League Season 2. She will continue working with Cloud9 as its Director of Youth Esports Education and Training across the entire organization. "Both Susie and Robin had a tremendous impact on our team and helped us cement our legacy as champions in the inaugural season. Robin’s experience and success with Cloud9 gives us confidence in his assuming Spitfire GM duties, allowing Susie to pioneer this critically important initiative for Cloud9," Cloud9 CEO Jack Etienne said. "We’re blessed to have a deeply talented and passionate team at Cloud9, and are excited to see both Robin and Susie’s growth in these new roles." Robin began working with Cloud9 in 2016 with its League of Legends team. He continued to work with Cloud9 and later joined the London Spitfire as its team manager for Season 1.